I like to write about automotive topics—particularly DIY stuff and auto concepts. 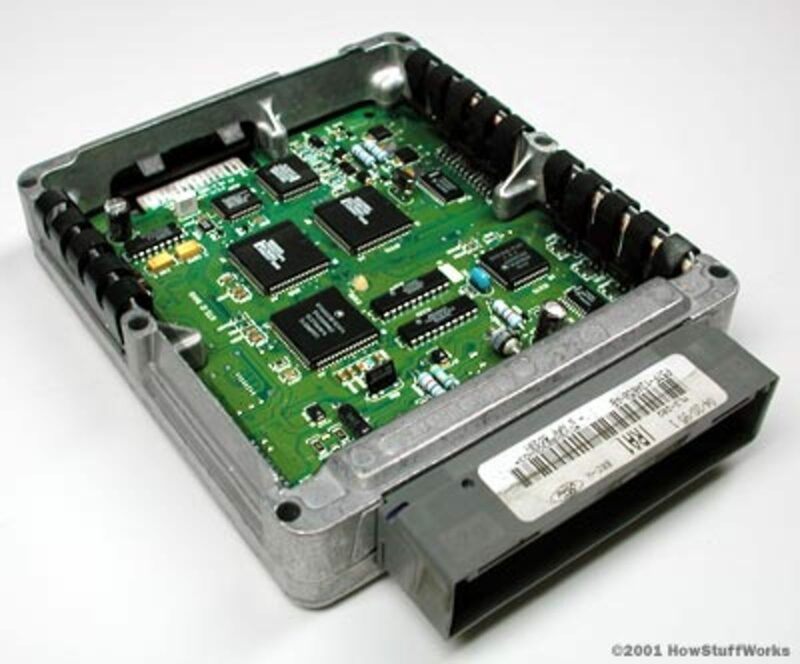 The engine control module (ECM) is also known as the powertrain control module (PCM) or the engine control unit (ECU). The main responsibility of this controller is to get information from sensors and run certain actuators. In the case of any errors, the ECU shows a check engine light on your dashboard. We will discuss where and why sensors are placed in certain positions and give some insight as to how or what the sensors sense. If you are a DIY person, then you could even open up the sensors yourself and clean them for optimum signals to reach your ECU. Like humans, a vehicle needs to maintain a specific temperature in order to function properly. Too cold, and the vehicle will drink too much petrol. Too hot and the head gasket could leak. Coolant is a liquid used in the vehicles radiator of the car to maintain the temperature at which the engine can perform at its optimum. The engine coolant temperature sensor simply tells the car's computer (ECM) the current temperature of the vehicle. When the temperature of the coolant reaches between 75 and 95 degrees (depending on the manufacturer specifications), the ECM instructs the radiator fan to turn on and start cooling down the liquid. Usually it is located either on the bottom of the radiator, or by follow the top radiator hose towards the engine block. You'll see it on mounted on the engine block. It can be cleaned using a wire brush when you entirely change your engine coolant (approx. every 80,000 km or 50,000 miles). The intake air temperature sensor (IAT) tells the ECM the temperature of the air that is going into the engine. The cooler the air, the better the performance of the engine, which is probably why you might have noticed a difference in the car's performance on a summer night as compared to the day. It is usually located on the air filter box or the pipe going from the air filter box to the throttle body. Toyota has a MAF and an IAT sensor built in one unit which has five wires located on the air filter box. It can be cleaned once every six months (depending on dust/pollution), using carb cleaner on an ear cleaner. The baro sensor measures the ambient air pressure, which tells the ECM the current altitude of the vehicle. If you're driving in the mountains you'll need less fuel, because there is less oxygen in the atmosphere and therefore less oxygen in the engine cylinder. The ECM will adjust the fuel injectors "throwing time" or pulse width accordingly. 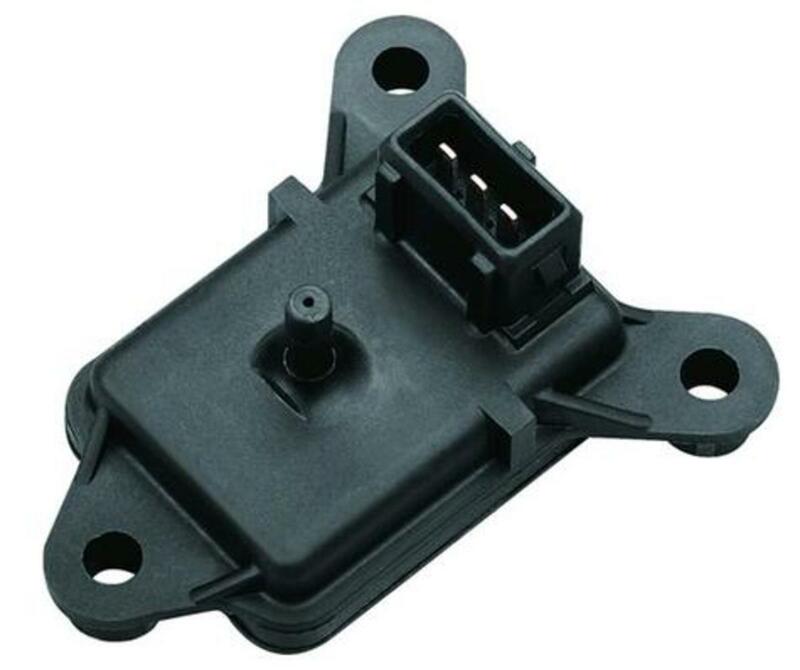 The map sensor detects the vacuum pressure created inside the intake manifold of the vehicle and sends the engine load information to the ECM. The ECM will adjust the fuel injectors pulse width accordingly. Note: Baro and MAP sensors look and work in a similar fashion, therefore only one of the two sensors will be found in one engine. Usually found either bolted on the intake manifold or linked with a vacuum pipe from the intake manifold. If mounted on intake manifold then should be cleaned every 6 months to 1 year, using carb cleaner (depends on fuel quality where you live; the lower the quality of fuel, the more carbon deposits found). I've had to clean some every three months. 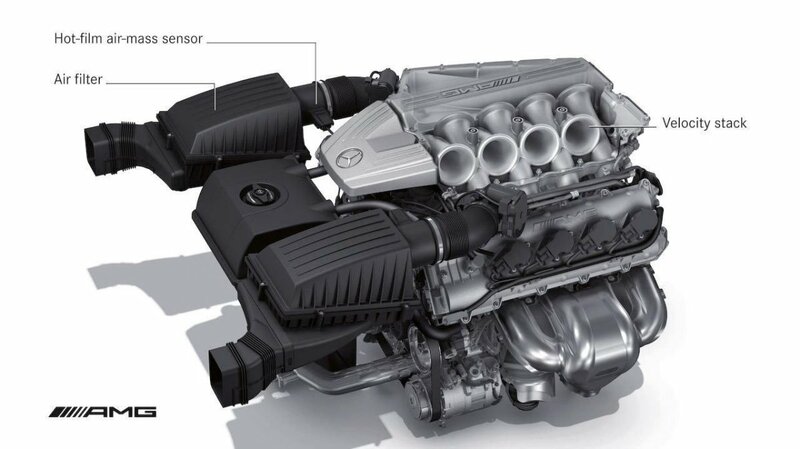 The Mass Air Flow sensor is responsible for measuring the volume of air entering the engine. 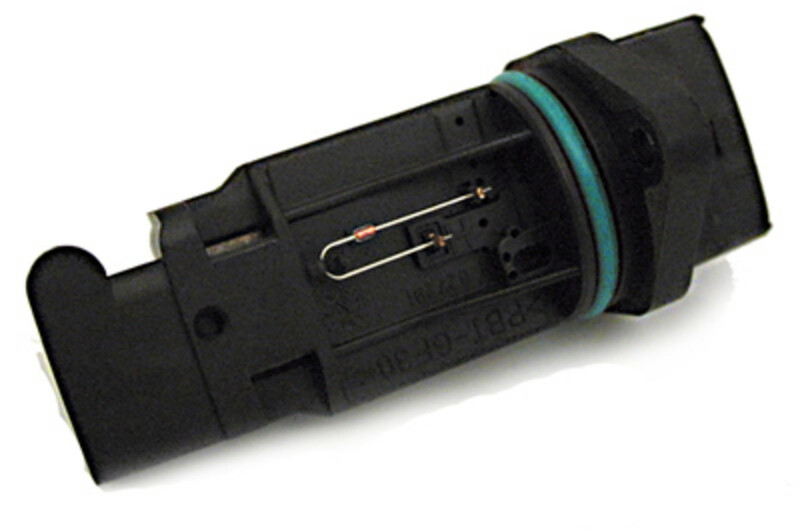 The sensor contains a heated sensing element, as shown in the picture above. The temperature of this element has to be kept constant, but is cooled by the air passing through the intake. The MAF sensor produces more current to keep the temperature at the level required by the manufacturer. There is a small computer in the MAF which calculates the internal current flow to heat the element, and by using this figure it can calculate the volume of air going into the engine as well as the air density and temperature. The ECU uses this information to adjust the injector pulse width and spark (ignition) timing. The MAF Sensor is located either on the air cleaner box or along the pipe going from the air cleaner to the throttle body. Note: Since the MAF sensor calculates the air density, the engine does not need the MAP or baro sensor readings. 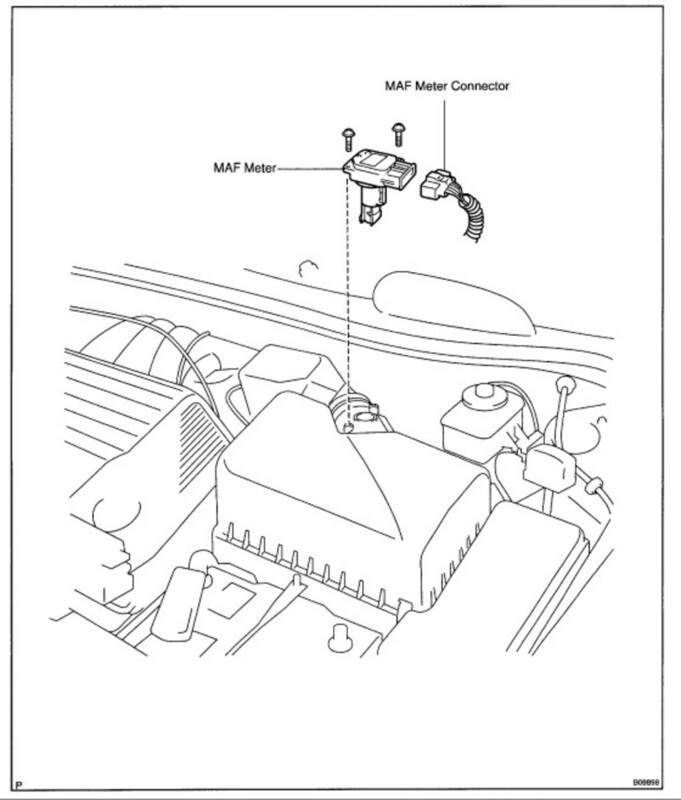 Therefore you will not see a MAP or baro sensor in your engine if you have a MAF installed and vice versa. Can be cleaned with carb cleaner or MAF cleaner spray and ear cleaning bud. Clean if you see dust or carbon deposits. 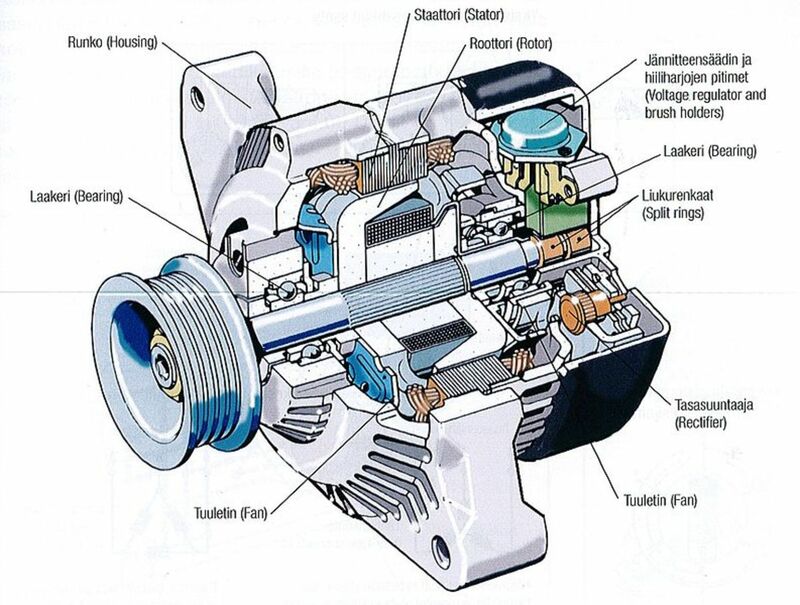 The Idle Air Control Valve (IACV) is responsible for keeping the RPM of the engine steady. The IACV is actually an actuator and not a sensor because it does not supply readings to the ECM, but works on the command of the ECM. I just added this actuator for the DIY enthusiast. There are two coolant pipes connected to the housing, which you can see on the far right of the picture shown. The black piece shown in the picture is a magnetic actuator which rotates the valve shaft allowing it to open and close as required by the ECM. Whenever you start your car the IACV will increase the RPM until the coolant temperature sensor (ECT) tells the ECU that the temperature of the engine is up-to the manufacturers specifications. The RPM will then drop down to and remain steady at approx 800 rpm whenever there is an extra load on the engine the idle controller adjusts and compensates for the load applied—for example, switching from park to drive mode in an automatic transmission vehicle, or even when you switch on your air conditioning. You can also adjust the idle speed of the vehicle by loosening the screws on the actuator and rotate the actuator. The default setting of the actuator is normally in the middle. Located on the throttle body of the vehicle. Depending on fuel quality, carbon deposits build up and the valve shaft gets stuck resulting in fluctuating RPM signals on the dashboard. To clean remove the black magnetic actuator which will reveal the shaft. Try rotating the shaft with your fingers. 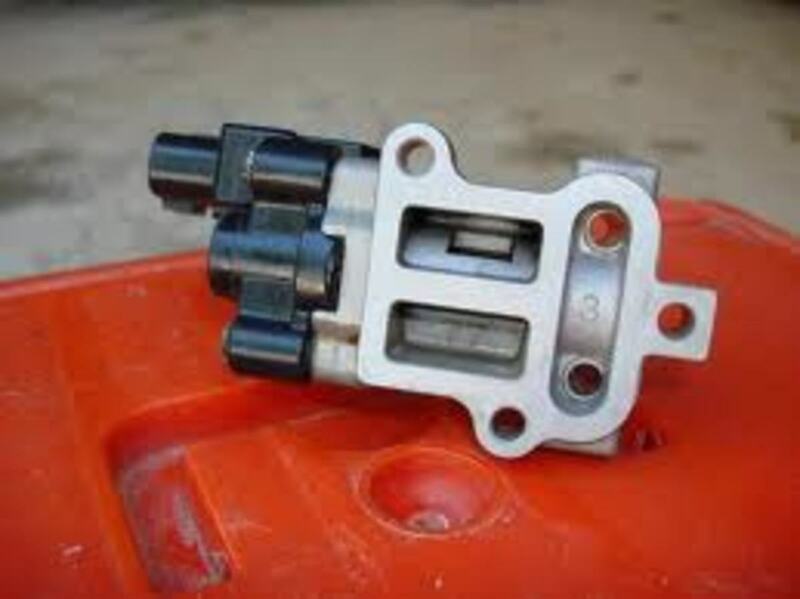 If it's a little hard, then use carburetor cleaner and a toothbrush or ear cleaning bud to clean the area of the valve (the two identical rectangular blocks), and check to see if the shaft is easy to rotate. When putting the magnetic sensor back, make sure the rubber O-ring goes on the metal housing and then align the tip of the shaft with the step inside the magnetic sensor. Set the sensor to the mid-position and tighten the screws. Note: On some vehicles a scanner is required to reset the idle controller once opened. The throttle position sensor (TPS) is linked from the accelerator pedal to the throttle body. The TPS tells the ECM that the driver is pressing the accelerator pedal. The ECM can also verify this information with the MAP or MAF sensor readings, thus increasing the injector pulse width and spark (ignition) timing. The TPS is located on the throttle body. Honda has an adjustable TPS sensor and if the initial if your RPM is high and cannot be controlled through the IACV, then the voltage readings of the TPS should be checked. The normal reading for a Honda is close to 0.6V at idle. I remember playing with the TPS in my friend's car and adjusting his TPS to about 2.5 volts at idle. The result: The became a gas guzzler, consuming about 30 litres of petrol (about 7 gallons) in 30 km (about 18 miles). I guess we learned the hard way. 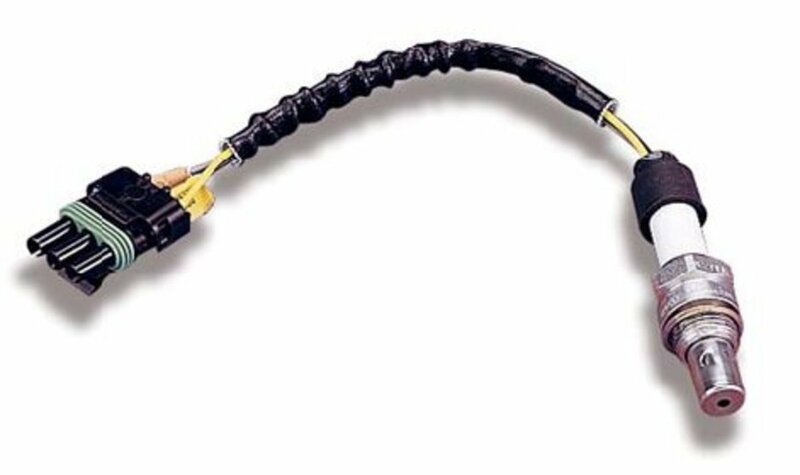 A newer system for the throttle control came in 2003-2005 and newer models of vehicles, in which a throttle cable is no longer used. A sensor has been placed in the accelerator pedal and the TPS sensor has been replaced with a throttle position motor. This sensor never requires cleaning. If you do want to clean something on it then just clean the connector points with electrical contact cleaner and a toothbrush. That goes for all the sensors. The camshaft position sensor (CMP) is electro-magnetic and produces a voltage when a metal object moves past. 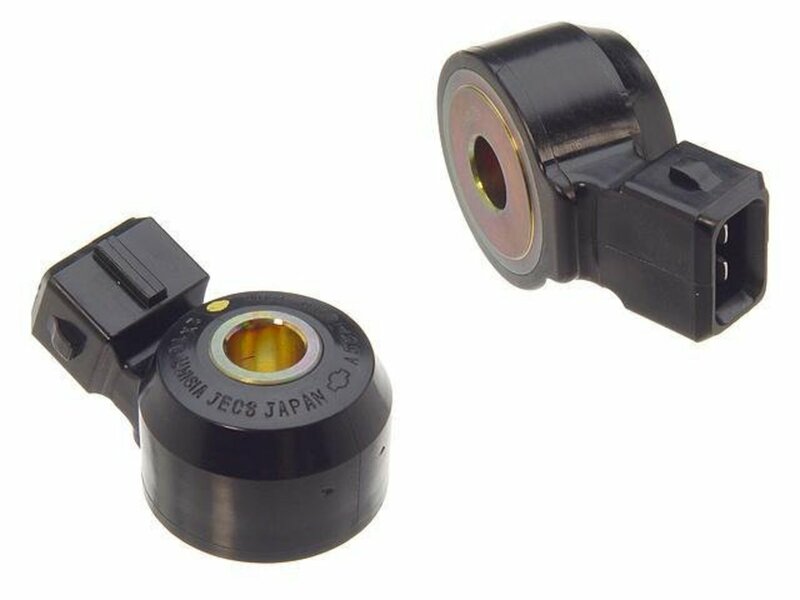 This sensor is responsible for telling the ECM the current position of the camshaft. With this information the ECM can calculate which valve is open and throw fuel through the injector into that cylinder. 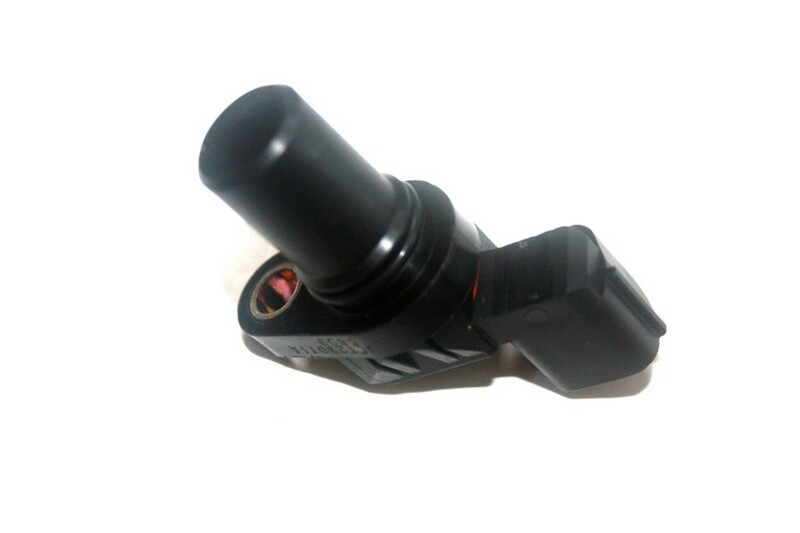 This sensor is found on one end of the camshaft, usually on the right side in a front wheel drive car. It's normally not very difficult to access. Cleaning can be done with a simple dry cloth, but if the oil has been used for too long, a golden-brown stain is left on metal portion of the sensor. In some cases it even comes out black and gooey, which is basically old engine oil turned into sludge. if it's stained then you can use a wire-brush or very fine sandpaper to remove the stain. Make sure no metal bits remain on the sensor. If you need some liquid type material to get some stains off, try WD-40. This sensor is very similar to the cam position sensor in functionality. It is responsible for telling the ECM the exact location of the crankshaft as well as the RPM (rotations per minute) of the engine. With this information the ECM knows the position of each piston in each cylinder. Using the cam sensor readings, as well as the crank sensor readings, the ECM knows exactly which injector needs to be activated. The synchronization of the cam and crank shafts in an engine is the key to engine performance. This synchronization is also referred to as the engine timing. With the correct timing you will get the fuel and spark delivered at the right time. It is located at the bottom of the engine somewhere close to the crankshaft. Cleaning technique for this sensor is exactly the same as the cam sensor. Cleaning once a year is good enough for this sensor. Note: If your car does not start, a possible reason could be a faulty crank sensor or a broken wire in the crank sensor circuit. 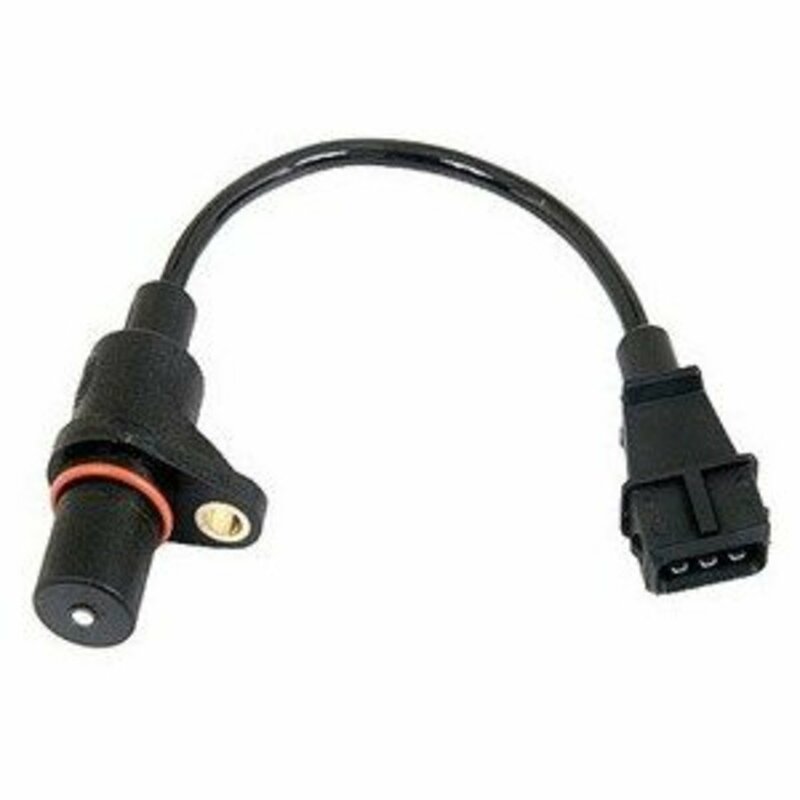 The oxygen sensor (O2) is responsible for "smelling" the exhaust fumes and detecting the oxygen content in order to make sure the engine is consuming the right amount of fuel. The ratio maintained by the ECM is 14.7 parts air to 1 part fuel. This is known as the air/fuel ratio. 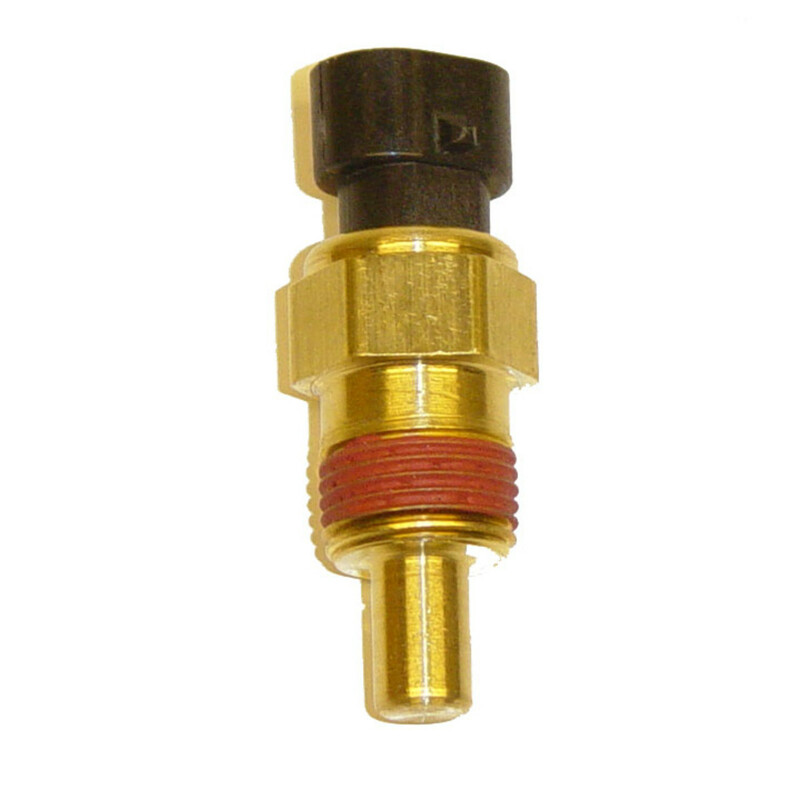 There are two types of oxygen sensor: zirconia or titania. These are materials which can detect oxygen and produce a voltage. The voltage range falls between 0.1V to 0.9V. I normally use a vehicle scanner to check the maximum and minimum readings of the oxygen sensor. If I see both peaks, then I know the sensor is working fine. If the voltage max is 0.8 then I open up the sensor for cleaning. Sometimes the sensor produces a constant voltage but does not fluctuate. This generally means the sensor needs to be replaced. 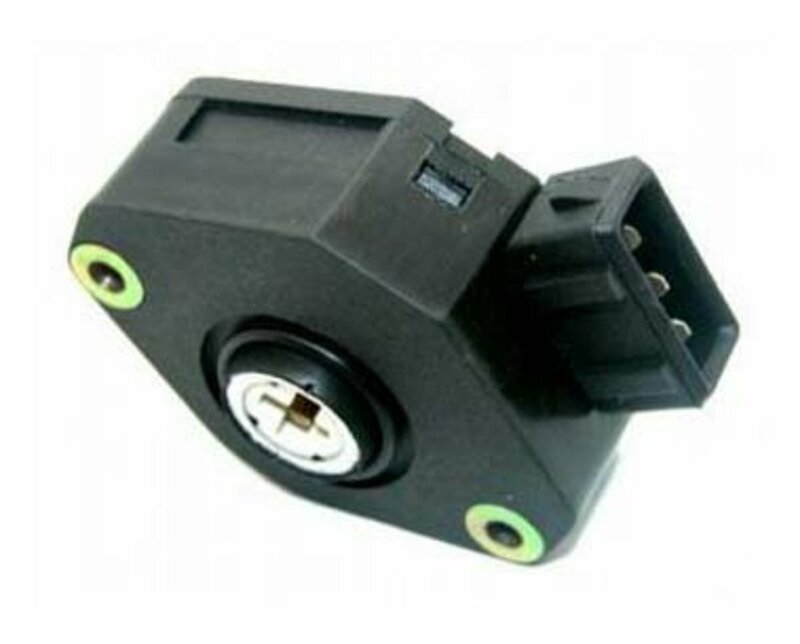 The knock sensor contains a piezoelectric crystal. This crystal is able to detect mechanical stress and produces a voltage when the car knocks or pings. Under heavy acceleration, it sends signals to the ECM and the ECM retards the ignition timing to compensate for the knocking, which in effect protects the pistons and rings from damage. Knocking also occurs when using low-grade fuel and having the knock sensor allows you to use different grade fuels without causing engine damage. 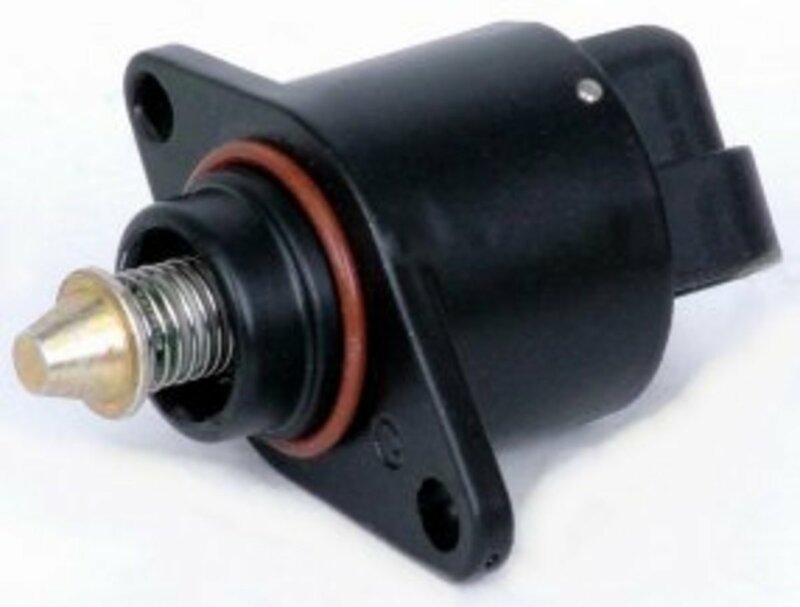 This sensor is normally bolted onto the main-body of the engine in the most difficult and awkward positions. Lucky this sensor never requires cleaning. What Happens If One of These Sensors Fail? If a sensor fails and gives abnormal readings, for example a coolant temperature sensor giving a constant reading of -40o, then the ECM goes into fail-safe mode. This means it basically ignores the values of the sensor at fault and tries to either calculate the value of the failed sensor or assumes a constant reading so the vehicle can keep running. 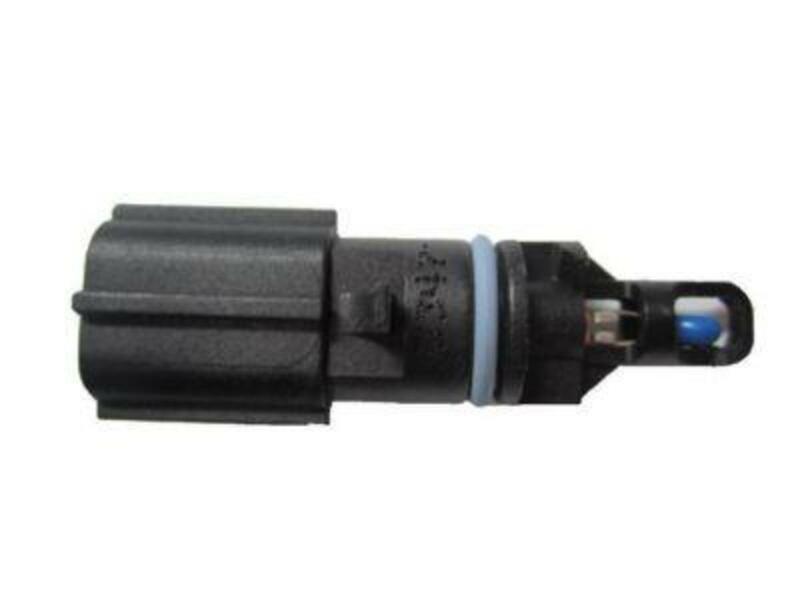 Some faliures like a crank sensor or a MAF sensor will result in the vehicle not starting at all. Is the controller for the heater on an O2 sensor in the ECM? After cleaning my 1999 Honda Accord 4 cylinder 2.3 l VTEC all the carbon out of the intake system. My car starts to run, then stalls out and will not start back up. What's the problem and what should I check? 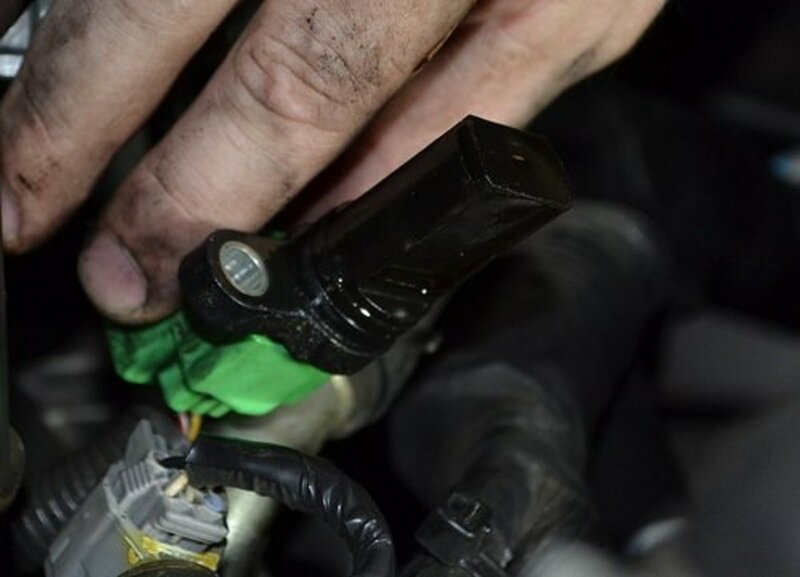 Check MAF / MAP sensor electrical grip (whichever your car has) and look for air leaks. Is a sensor & module for the transmission considered the same part? What allows for an engine to be diagnosed? @joseph : need to replace the MAF sensor. @jamal: cleaning works. I also used throttle body spray to clear the carbon inside the metal shell. Try cleaning before replacing. @zahid: In your registration papers or the metal vehicle identification plate under the hood. how can I get engine code or model of my ecm, where it is written on? @zahid : check the sensors with a scanner. If no error codes then all the sensors are working fine. You can find the wiring diagrams online but need to know your engine code. @jimmy : those are coils or coil packs. 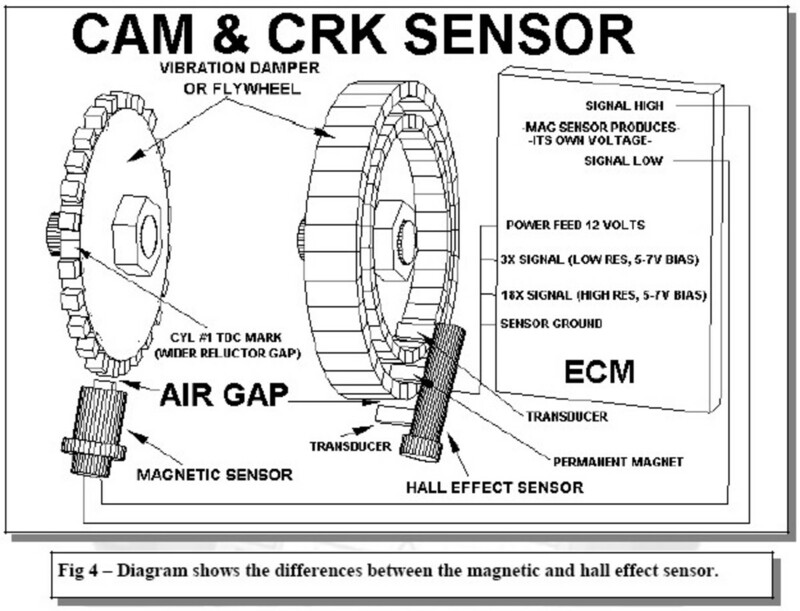 They are not sensors; which sense things but actuators which can do a single task (create spark) and are told by the ECM when to do it depending on a few other readings such as the timing etc. 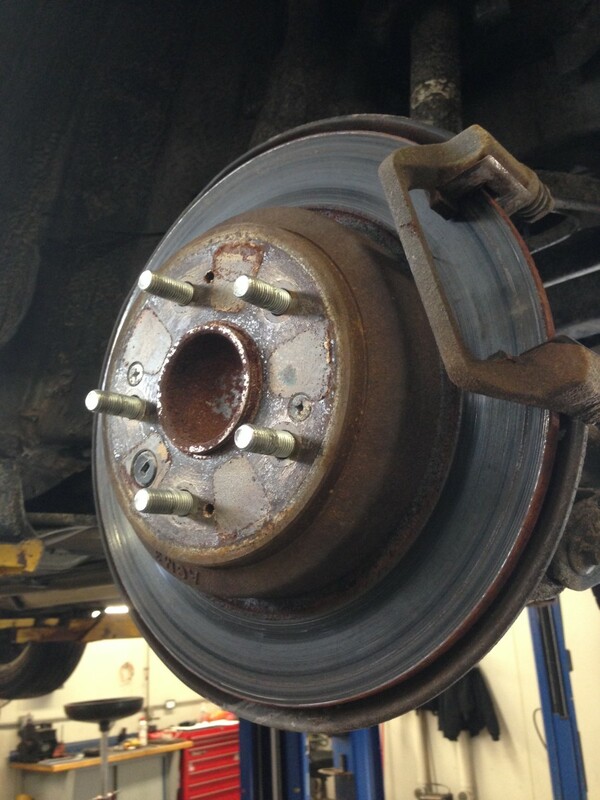 @kanisha : one possibility is that the timing belt/chain has skipped a tooth causing these issues. You will have to get that checked first before thinking about other things. Everytime the check engine light comes on it says PCM or all cylinders are misfiring can you please tell me why? This is a very good idea to learning car system. @ajay : it depends on the vehicle and their features. You will find these sensors in every efi vehicle as these are the core sensors to keep a vehicle running. but its not a complete list. more then 55 sensors use in vehicle. 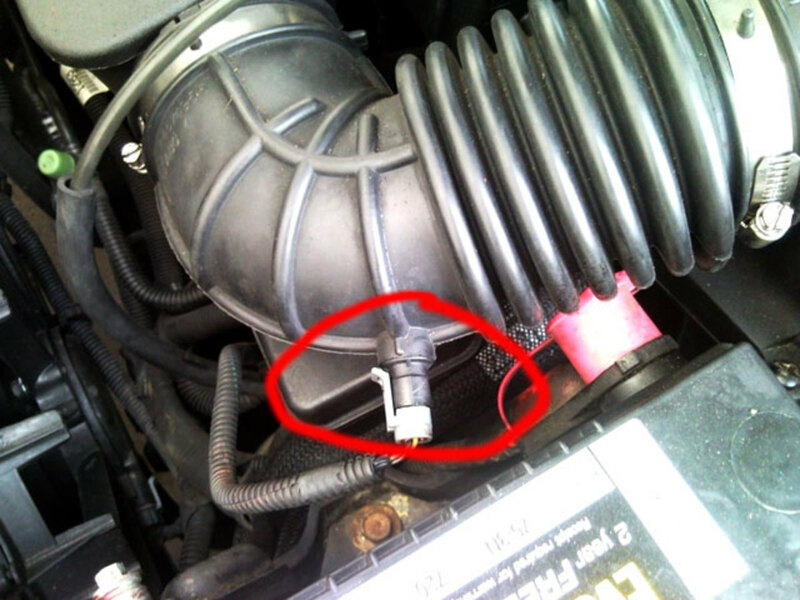 @Nagvadiya: maybe fuel pump overheating. Need replacement. Why not start my car in hot conditions?? good information about function & location of sensor. @mubeen : as Goose mentioned. Check for air leaks. Next try high octane fuel. Great to hear from a fellow Zambian... I miss that place. I’m guessing your closest option would be South Africa but it would be helpful if you can take the computer to an electronics guy and try to get it repaired. The chips on them are similar to other Toyota computers so you might be able to get one from a wrecked car. The most common problem in toyotas were the injector chips got burnt. You can replace them with other Corolla models. Hope that helps. Ping me again if you need more details. Maf-intake hard rubber flex duct vacuum leak...there can be NO leak between MAF and engine block or this happens, wrap that rotten ribbed section with some duct Tape. God Bless!!! Step 1: Set the engine switch to the "LOCK" position with trip meter A reading shown. Step 2: While pressing the trip meter reset button, set the engine switch to the "ON" position. Step 3: Continue to press and hold the button until the trip meter displays "000000" till all 6 "0" clears. @Clive : you can’t blow the ECU like that. Sounds more like your immobiliser with the keyfob May need reprogramming. Get that checked first. Engine light stays on at ignition. It will switch off once the vehicle starts and it checks if all systems are ok.
@letsela; check MAF sensor area and intake pipes for air leaks. @rajesh ; try changing the temperature sensor also know as fan switch. @stompi ; follow the top radiator hose, it will lead to the thermostat valve area with a few pipe connections; you might find the sensor there. @johnny g ; could be one of many things. First check security system and make sure immobiliser is working ok. Second check the battery voltage. In the newer cars if there is not enough juice in the battery it won’t start, I think 11.5volts is the minimum. Next check for air leaks in the intake area. Next check If the injectors are working or not; next check if you have a spark or not. Next check engine compression. If all is fine then try changing the crank sensor and if it has a MAF sensor then you may have to replace that too. Better if you can test the parts with a friend’s car or something before actually purchasing. Let me know if there is anything else. Toyota haice. ..2005 ...EFI. ..2.5 turbocharged diesel .radiator fan runs ok ..on direct but doesn't start when temperature raises to operating temp ....cannot figure out sgars wrong ...also give rough engine .. srarts ok ..
@Jeffrey : sounds like your throttle position sensor is not on properly. Located on the other side of the accelerator Cable ... you need to check the voltage it’s giving out and keep it somewhere around 0.5volts on idle. 4.5volts on wide open throttle. @Rajesh : you might have to replace the engine coolant temperature sensor. Follow the radiator pipes to the thermostat valve; there will be a 2 wire sensor in that place. also known as the fan switch. My toyota hiace With a 2 kd ftv diesel engine fan does not start when engine gets hot ..but both fans are ok ..the relay and fuses seems all ok ...will appreciate. .thanks . @addis : you cannot use one ECM to test. You will need to use the ecm for that specific engine. It will have to change every time. how to use one ECM on engine test stand for different types and models cars?? @sazi : check for air leaks. That’s what causes heaviness... also check idle controller on throttle body. If problem persist then get the air sensor checked again. Hi i had a problem with my nissan almera 2002 model 16 valve,the airflow sensor was giving me problems i had it replaced,now my car is heavy on fuel and idling is going up and down...and my exhaust is smelling fuel when idling by when I took that airflow sensor plug is running 100% bt gives me warning light...can u please help me. @maizan : you can try to connect a fuel pressure sensor with a meter for viewing. If the pressure drops there is a leak. You can connect it to the fuel injection rail. If you still have problems I’ll add you on whatsapp... let me know. @his detinedzs: efi did not come out in 1991... please check your distributor or current going to coil pack. @peace: check crank sensor if it’s an efi vehicle for starting issue. Sounds like your idle air control valve needs cleaning. 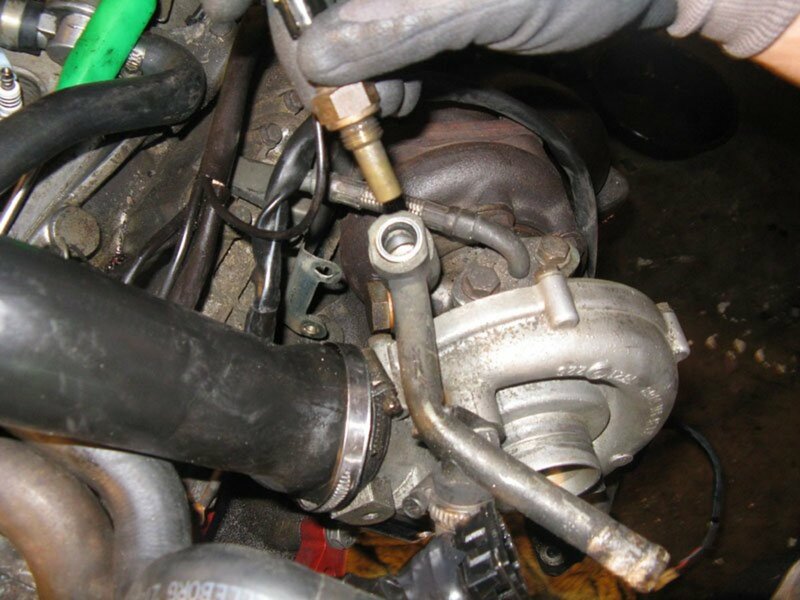 Ask a mechanic to clean the throttle body and idle control valve. It should be ok after that. Am having some problem with my 2005 Toyota corolla, 1NZ engine. While driving I notice the rpm malfunctioñing, I pull over to çheck, suddenly the compressor discharge some gas, there after I drove it home safe, just at home the engine off. Since then, its has been starting and off, ,call an electricians to check, nothing has found faulty so far, but the last thing to check is the crankshaft sensor or so, pls any one with useful solution can help. Why does occur tapping noise in VVTI 1300 cc ? I made modified air flow ! Can't locate exact location of the fuel pressure regulator, thanks. @Rahul : please give more details. I'll try to help as much as I can. @Billy : sometimes simply unhooking doesn't work. You might have to put a wire to connect both points on the grip you removed to get it to work. Depends on the circuit used in your car. Try putting in a jumper wire and see if the fans work. MY COOLENT FANS WONT COME ON. I unhooked my temperature sensor and they didn't come on then I hooked them back up and turned AC on and they still won't come on changed relays and checked fuses they are all good just wondering what the problem could be? I have a problem my Skoda fabia is late staring problem. Would u like to help how to fix this problem. You will need to get your key programmed to work with the immobiliser of the vehicle. Look for someone who does key programming in your area. Try checking the map/baro sensor grip first to see that it's connected properly. Secondly check to make sure there are no air leaks in the intake system. There is also an o-ring on the map/baro sensor ... make sure the sensor sits tight in it's place. If all good and problem persists then you may have to replace the sensor. 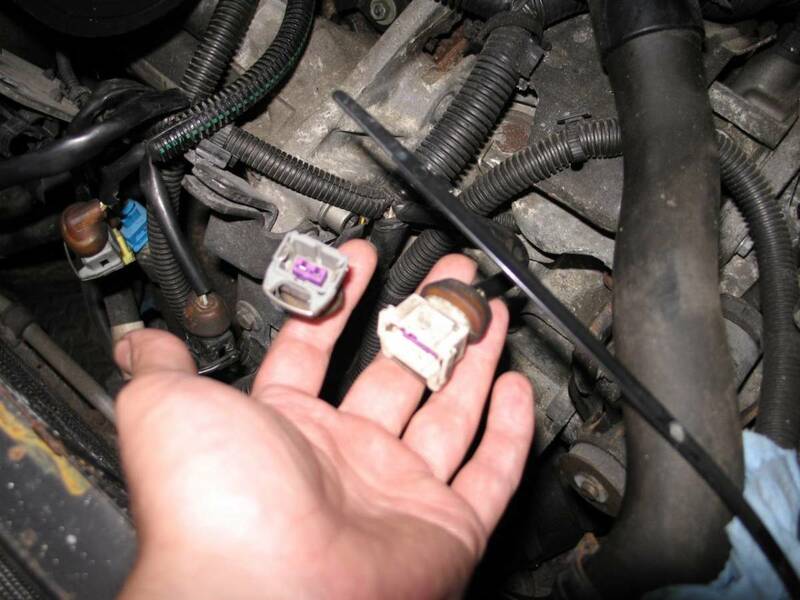 It would be better if you can find a similar vehicle and change the map sensor to see that it takes the problem away before purchasing a new one. Let me know if the problem persists after all this. i'm guessing your problem will be in the MAF sensor or the MAP sensor. I would advise to get the car scanned with a diagnostic tool to confirm; then replace the sensor. @donald : did you mean knock sensor? does the block senser have an impact in the runing of the engine if its not connected? Yes there is a fan control module sensor in vw golf make 3, 4 & 5 too that senses when the coolant is hoter and needed cooling, and will automatically toggle from low radiator fan spin to medium or high depending on the current temperature of the coolant present in the radiator.. This sensor is mounted right at top conner driver side of the radiator. And if it goes bad will stop the the radiator. It has the tendency of kick starting the radiator fan and shutting it down based on instructions from the ECU. It also has the tendency of kick starting your radiator fan even when your engine has shut down for a while due to incomplete cooling cycle required for the health of your engine. Keep it up,and all this said here are true. @zibusiso : I have not heard of a module sensor before. 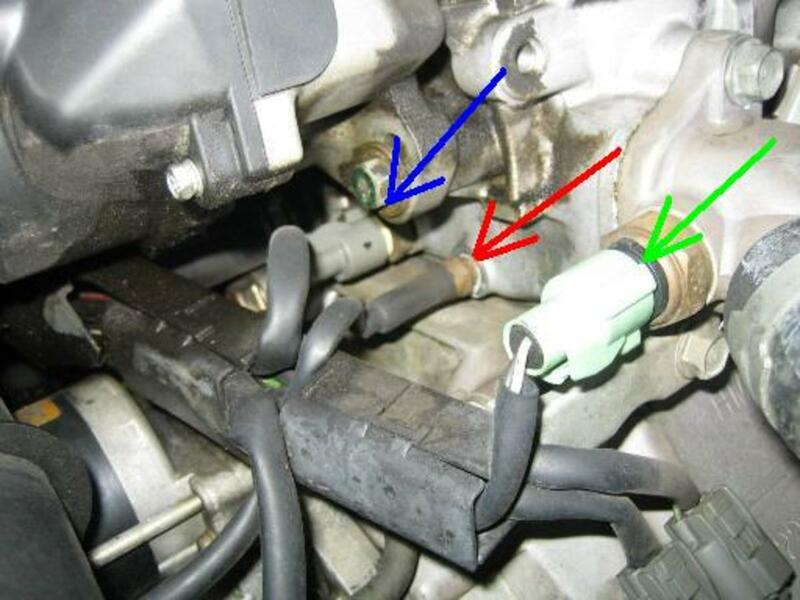 There is a temperature sensor attached to the body near the hose coming from the radiator and some cars (like honda civic) have a second temperature sensor on the radiator. There is a thermostat valve which allows the colder water to flow into the engine but no module sensor. is there something called a module sensor for VW Golf 4 meant to cool down the car in cases where it is overheating. No doubt that, it's a very intellectual explanation. I am highly pleased to the better analysis of automotive sensing components. hoping that I will get latest information in future also. Have a good days. Allah hafej. Newer cars a motor fixed with the throttle body. 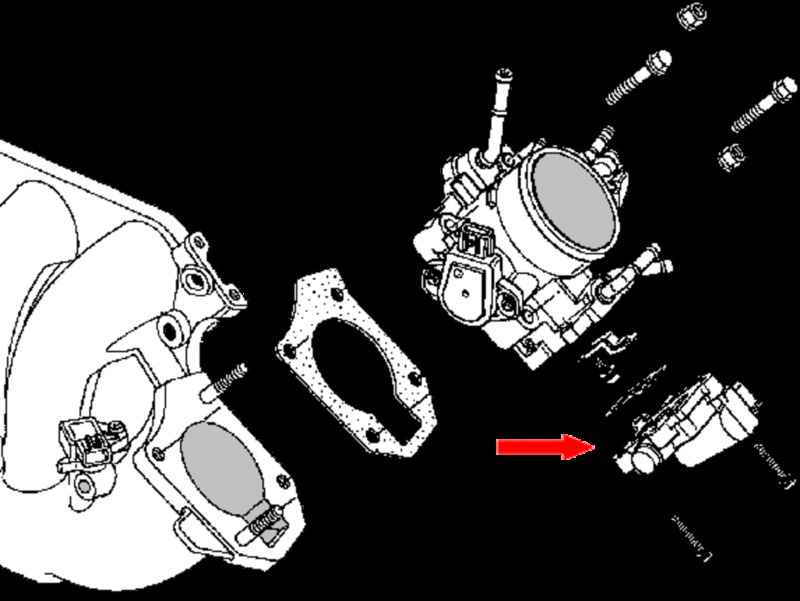 An additional sensor is placed under the accelerator pedal known as the accelerator pedal position sensor which controls the throttle body motor. Nothing happens if you only have a MAF ... if you don't have a MAF you will have a separate MAP and Air Temperature sensor to get those readings. The TPS value will come from either the TPS sensor or the Accelerator sensor. At the end of the day these values are required by the ECU therefore it will have to be given one way or the other so that further calculations can be made on how much fuel to deliver in the injectors etc. Do all cars have a TPS as well as a MAF sensor. 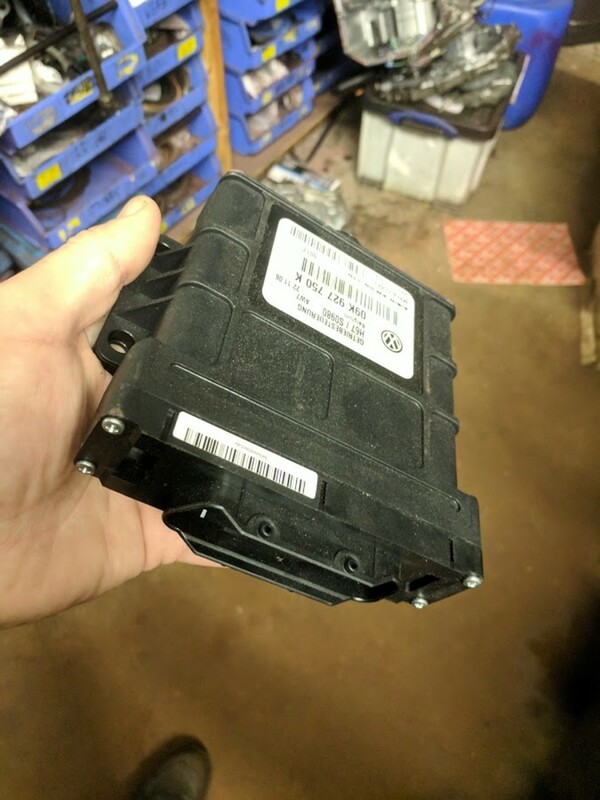 So what happens if my car only has a MAF sensor? Sorry I didn't ask the question clearly. Is it possible to get readings from ECM? For ex, coolant temperature, intake air temperature, ambient temperature, engine temperature, engine rpm etc... If yes, what kind of devices can be attached to get the readings from ECM? I wanted to know that is it possibld to get reading from ECM? @Bresmen : Check for air leaks. 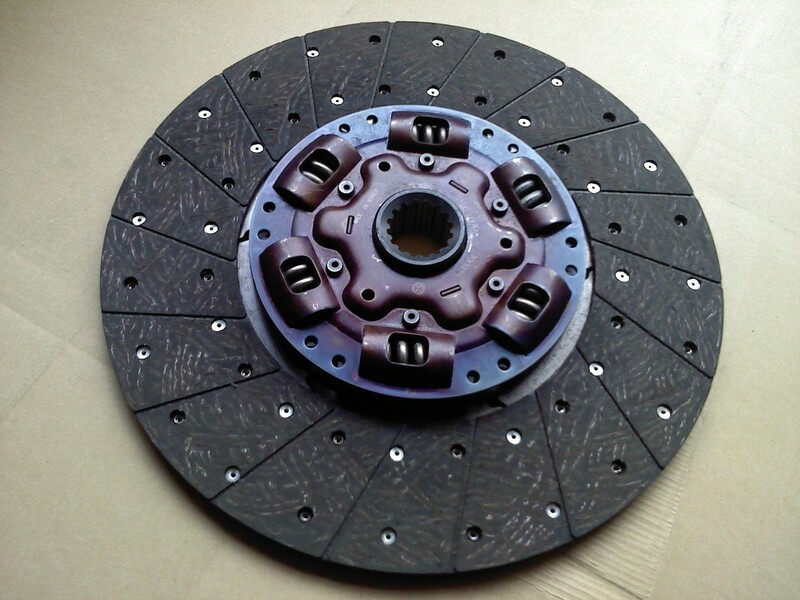 For automatic transmission vehicles 1000 rpm is normal. 800 is for manual transmissions. @winwin : it's sluggish because of an air leak. Make sure the piping and airbox is sealed properly. Any kind of air leak will make it less responsive. If it's in safe mode then disconnect the battery terminals for 10seconds then fasten them on again. It will erase all the previous codes. Hi,I start engine without air filter.now my car is too sluggish. I think it safe mode.how I fix? My car is 2001 toyota mark ii. Obd2.please help me. 70 is normal temperature ... goes up to 95 or 97 in some cases. what is the idle RPM? did you wash the throttle and IACV using carb cleaner? maybe something is stuck (carbon). maybe that's why nothing changes. if throttle is clean then adjust the IACV valve a little. it should lower the rpm. Also check with scanner to see if there is any engine code. sometimes the check engine light does not work (the electricians here who don't know how to fix the light cut the wire of the light to get paid). If you have whatsapp then send me your number through my profile and can help you there. I reset the adjustment on the throttle but nothing changes!!! The ECU should do it by its own if nothing was touched before replacing it. First check to see the ECT is working properly using the scanner (fan will switch on and off at the correct times) ... If the RPM is high after the new installation then YES, bring it down using the adjustment on the throttle. Do i need to reset the rpm after i change the ECT?? Not sure about the Chevy but there is an inertia switch which cuts fuel supply incase of an accident. That could be the cause. I have a 2005 Chevy Malibu classic with a 2.2 ecotehch enine.II have replaced my fuel pump and filter and now I have no psi to the fuel injectors so the car wont start.Is there a reset for this car or do I have to have it reset via computer? Ignition module works for me if it gets too hot, it makes it tough to start. There suhlod be a heat conducting gel under the module, I have no idea how long it is supposed to last, but it would be a quick and cheap fix if all you had to do was clean off the old gel and add some new stuff. No problem at all. I look forward to seeing the data. Try to take the following if possible. Screenshot 2: Rev the engine like you are racing (full throttle) so you get a good min and max range of all the sensors. Screenshot 3: put foot on pedal and keep engine on 1500 rpm for 30s then record. I will disregard CAT and thermostat if that so..ECM i open it but i don't smell if it is smell burnt i will do check again the ecm or smell the chips or borrow ecm to other car and put it in for testing...yes i had a scan tool i will also send it to you the flight record if possible..
most of the things seem correct. do you have a scanner? if yes then post the results or email me through the link on my profile page. clogged catalytic cannot be the problem... when it's clogged then fuel consumption gets very high and becomes very difficult to get the car to move (lack of power). we normally break the CAT block here because the fuel quality is very bad and a new CAT will get blocked in 6 months - 1 year. 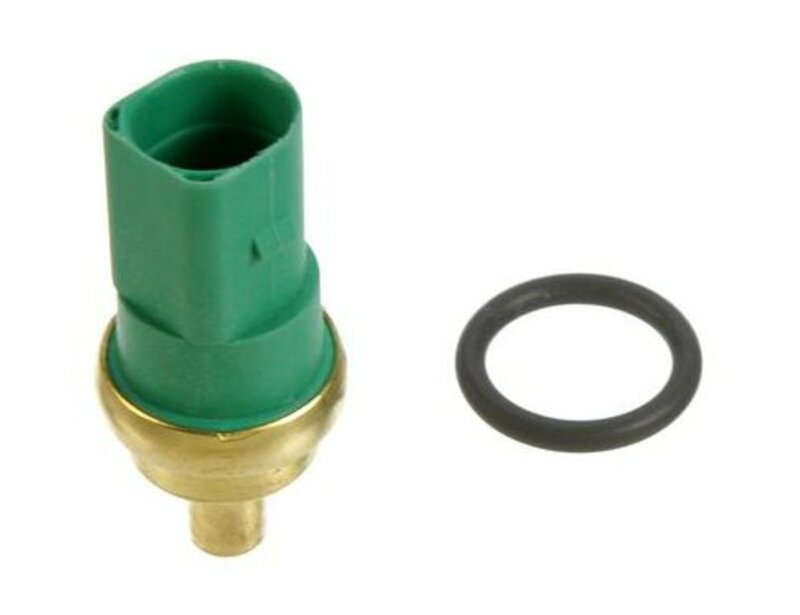 damaged thermostat valve will cause bubbles in the reserve coolant container when you drive the car for too long... you can also check the thermostat valve by taking off the radiator cap and watch the water flow when the engine is warm. one common problem we have with corolla (1NZ-FE) here is that the main computer chips get burnt and require replacement. If you have access to another similar vehicle then i would suggest you take the main ECM and try it in your car for testing. if you don't have access to a similar car then open the ECM and you will see 4 similar computer chips on the main board. smell the chips to see if it is burnt. if yes then get those two chips replaced. Hello arksys,i did to switch 1&2- 3&4 injectors it is still the same.ive already check for inj leaks but not found any leaks,also check for vacuum hoses leak found none, i had a .007"intake- .009" ex. For valve clearance,already clean the ff: cam,crank,maf,iac but still the same. Also check fuel pressure got ok. Newly overhauled before i performed overhauling the engine was consume 1L a week because it is blowby,then it was totally got dead because of overheat..
Do you think is it possible for clogged Catalytic or damage termostat?